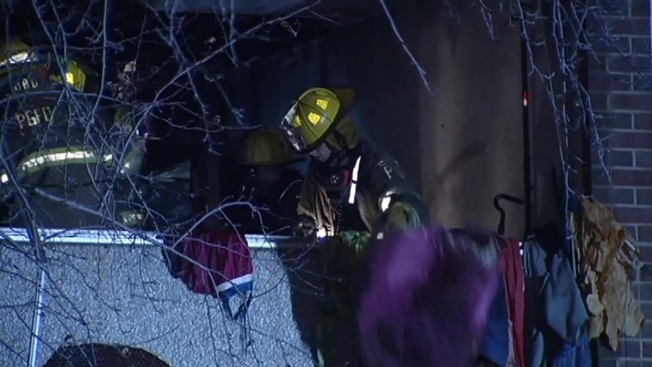 Residents Swing From Balcony to Balcony to Escape 3-Alarm Apartment Fire in Temple Hills, Md. Some were sitting down to Thanksgiving dinner at a Temple Hills apartment building when flames shot out the window of one apartment. The fire on the second-floor of an eight-floor building on Good Hope Avenue had some extension to the third and fourth floors and sent heavy smoke through the building, which prompted a third alarm for smoke removal, according to Prince George's County Fire. Witnesses said some residents took their fate into their own hands to escape. "They actually observed occupants of the building hanging from the fifth floor balcony,” Fire Chief Mark Bashoor said. “Those occupants were swinging themselves down to the fourth floor. Then they watched them swing themselves down to the third floor." A good Samaritan with a truck helped get some of the escaping residents to the ground. "They got inside to the second-floor unit and found what we call Collyer's mansion conditions -- very excessively filled with stuff," Bashoor said. At one point, residents were evacuated from the building, delaying some of their holiday feasts. No one was injured, but 27 people were displaced. "All the residents are accounted for,” Bashoor said. “Miraculously, none of those that were swinging from balconies were injured. A couple of them were checked out."